Tell us a bit more about yourself. Where you grew up? Who are the main influences in your life? As a toddler I grew up in Gondar, When my parents came to the states for school, I moved with my aunt in Addis and was enrolled in St. Joseph kindergarten class briefly before moving back to Gondar. I remember visiting my grandparents every weekend. They resided a few blocks away from the castles and the church Abajale where my grandfather was the head “Aleka.” As a teenager I grew up in Addis before coming to the United States. My main influences growing up as a kid were my parents who taught me always to strive for a goal no matter how hard. My aunts and uncles also played an important role in my teenage to adulthood transformation and I always looked up to them during my teenage years. Growing up as a kid I have always idolized Abebe Bikela, considered as the greatest marathon racer in the history of marathon, and Pele, the Brazilian soccer legend. I also have great admiration and pride for all our Olympic heroes, like Haile Gebrselassie and Kenenisa Bekele. You blogged a bit about the role of education in your life? Can you tell us more about your outdoor endeavors and academic/work? Academic work always took precedence above any activities like sports, music or any outdoor activity. Without my parents knowledge, I took up playing the Kirar (traditional Ethiopian harp). As a kid, I picked it up easily from a neighborhood musician who would play the Kirar near our home where I grew up in Addis and had the pleasure of performing at Yared Music hall along with my late cousin Leul Fikre who also played the Kirar. In college, I was active in all outdoor related endeavors events including soccer. My university didn’t fund soccer as the selected inter-mural sports. My South African friend, Godfred Webster and I organized the Michigan Technological University (MTU) soccer team, soliciting American soccer players to join the team. We were good enough to travel around Michigan at our own expense and earn the respect to play Division-A universities located in Duluth, Wisconsin and surrounding cities. 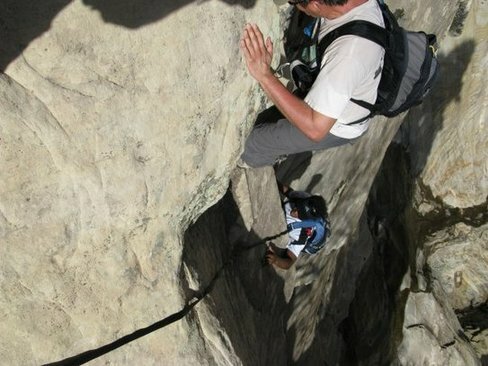 What was your reaction after climbing your first peak? My first reaction was, “GEEZ, What have I been doing all these years?” What I was feeling I just can’t put in words. It felt nothing like any sport I have ever participated in. It was different because it seemed so easy at first but yet so difficult once I started. Team work and helping others is also one of the rewards of climbing, I remember a fellow hiker telling me to take deep breaths as we ascended to higher elevation. During one of my first hikes, I decided to wear a jacket weighing 22-pounds. A rookie with a weight jacket was pushing it for most of them, but everyone encouraged me. To my surprise the 22lb jacket was becoming heavier and heavier as we gained altitude and the effort it took to wear it was beyond my expectation. I was literally leaving a trail of sweat as I went to the top and never knew a human could sweat this much. The thought of removing the weight jacket was never an option. I wore it all the way to the top. After getting to the top I felt exhilarated more complete than ever and at peace. I knew right away that I have developed a burning desire to do it more and more. Throughout the years, I was lucky enough to participate in various sports and challenges other than soccer. On my second day of ever putting on ski boots, I was skiing down the steepest slopes instead of the bunny hills. Windsurfing was one of the hardest things to learn. On the very first day when I didn’t wipe out I went across Lake Lansing in Michigan without turning back. I participated in lots of other sports like cliff diving, tennis, racquetball, biking, volleyball and swimming. I knew after climbing my first peak, I have found my passion. A passion similar to life itself, life doesn’t stop if the going gets hard, we simply rise up and keep moving. Tell us about what prompted you to seek climbing Everest? The main player who prompted me to climb Everest is my friend Abate Sebsibe, a PhD student currently so busy, he spends all his free time buried in the library. I wish him success. He has been very positive and supportive throughout this mission, he would always say, “Of all the people I think of, that can make it to Mt. Everest, I know YOU will make it to the top.” I will be one of the nine or ten people with Peak Freaks Expedition Team. Once the mission was born, I started researching expedition companies on the internet and various sources. Peak Freaks Expedition Company had a crew that valued quality rather than quantity. They have flawless record of safety and are the only expedition company that sign on less than ten clients. More information of the expedition can be found on Peakfreaks.com. 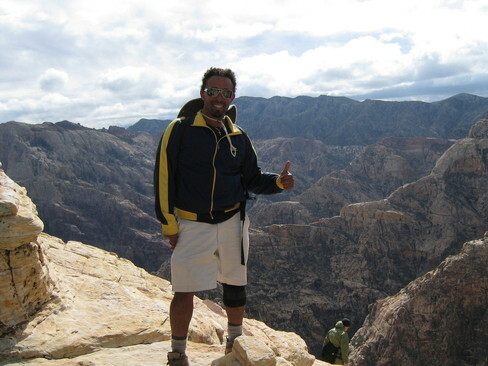 In 2008, the first Saudi who summited Mt. Everest teamed up with Peak Freaks and successfully made it all the way to the top. I have been following the training schedule set up by my Mountaineer Expedition expert. I will post it on my website on the blog section. Though I would love to train full time, I still have a career to follow during the day. My professional work takes up my days Monday through Friday. After 5pm I shoot for a 45-60 minutes of running, and about 30 minutes of weight training. On days that I don’t run I substitute with swimming. In the next few months I will include cycling as an alternative to running and swimming. On the weekends I hike between 6-7 hours with a weight pack of 25-30 lbs or more. My goal is to ascend to 2,000 meters with a pack weighing between 22-30 kg in 2-3 hours period. I will strive to make improvements beyond the required goal so that I will be able to climb Mt. Everest. You’ve completed hiking 27 peaks (some more than twice), and you plan to complete 2 more before Everest Mission, what thoughts are running through your head at the moment? Well, it’s hard to believe that I am actually doing it. I will be hiking throughout the year until it’s time to go. I am looking forward to climbing Mt Rainier located in Washington, in late September. Mt Shasta has been a favorite by the locals as well. I will feel more confident after climbing Mt. Rainier. I feel I will be well prepared by staying on track on my training and focusing on my goals. As the saying goes, “Practice makes perfect.” Practice will be my top priority until the day comes for me to do this mission. How can the Diaspora Ethiopian community assist with your fundraising? Since I started talking about my plans I have gotten lot of encouragement from people I know and from people that came across my website. I have been interviewed by Admas radio and VOC, when I told a friend I was nervous, she said, “A certain someone is climbing Everest and he’s nervous from an interview? !” I have received unparalleled support from various Ethiopian websites for which I am grateful. I believe this endeavor will benefit other Ethiopians in terms of publicity and attention to circumstances in Ethiopia at present and in the future. Any kinds of support, be it donations or words of support means a lot to me. I would also like to take this opportunity to say that any remaining funds from the mission donated above the required goal will be used to support water.org projects in Ethiopia. When I was employed by US-filter Corp. one of my projects was to design a programmable logic controller (PLC) controller for water purification and distribution system to support irrigation usage for farming and potable water usage to a remote village in Venezuela. The controller I implemented was accessible via English and Spanish languages. I remember thinking back then, how a project such as this would be helpful for our country and wishing someday that I might do the same for Ethiopia. Any plans to climb some peaks in Ethiopia? Upon my return from Everest, I am planning to summit Ras Dashen located in Simien Mountains, 4,620 meters elevation, the highest peak in Ethiopia. I plan to do this around second week of June 2010. I would love to summit along with my Ethiopian brothers and sisters, provided that they’ve had all the training necessary for such a task. Do you ever listen to music while hiking? I do listen to music often while hiking, low volume. 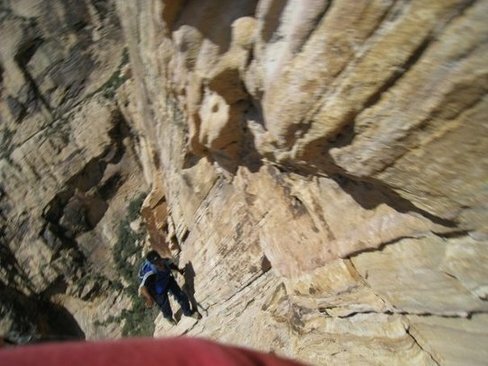 Its critical to listen to your surrounding at all times, climbers ahead of you might yell ” ROCK” which means one needs to avoid a possible rock coming down the slopes heading straight at anyone on its path. The same principle in snow areas as well, heads up for “Avalanche”. One cannot ignore the true nature’s music as well. The calmness of the area and the wind at those altitudes is like music by itself if one listens closely. And your favorite movie with subtitles? One of my favorites is Black Orpheus. This superb retelling of the Orpheus and Eurydice Greek legend is set against Rio de Janeiro’s madness during Carnival. Orpheus (Breno Mello), a trolley car conductor, is engaged to Mira (Lourdes De Oliveira) but in love with Eurydice (Marpessa Dawn). A vengeful Mira and Eurydice’s ex-lover, costumed as Death, pursue Orpheus and his new paramour through the feverish Carnival night. Black Orpheus earned an Oscar for Best Foreign Language Film. Superb Movie about Brazilian culture and history. Thank you Sirak and best wishes with your training and climbing Mount Everest! good job man… arif nuew! Good luck Sirak! Go Conquer Mount Everest!!! And keep your I-pod close by!! That is great news. I would love to see an Ethiopian on Mount Everest. I hope that other Ethiopians join you on Mount Everest or at least at Ras Dashen. Please take care of yourself – Mount Everest is not a joke. As a climber, I’m sure he is aware of the dangers of climbing mount Everest. 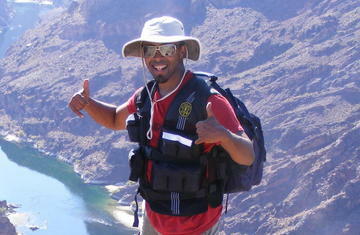 My advise would be do research and select the most experienced and trustworthy guide. People die every year trying to climb that mountain. It is VERY!! dangerous. min ayenetu defar new gobez? Good luck. I always admire people who challenge themselves to do big things. Hope you make it to the top. Hi SirakEnde Ehipoiawi korchebhalehu agerachinin asterthal. Hulum betechalew akim agerun biyastera tiru neger enji metfonet yellewm. 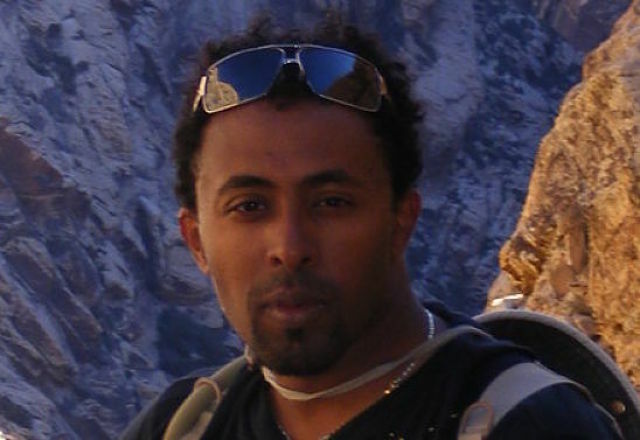 Enkuan le 2002 addis amet adereseh. I would like to plan your efforts and Ethiopians for the first ascent to the summit.